Last Saturday, Maturity and Its Muse joined with many St. Louis members of the visual arts community in bidding a tearful farewell to dear Mary King Swayzee. A moving and tearful Celebration of the Life of Mary King Swayzee was held on Saturday, December 21 at Trinity Episcopal Church. 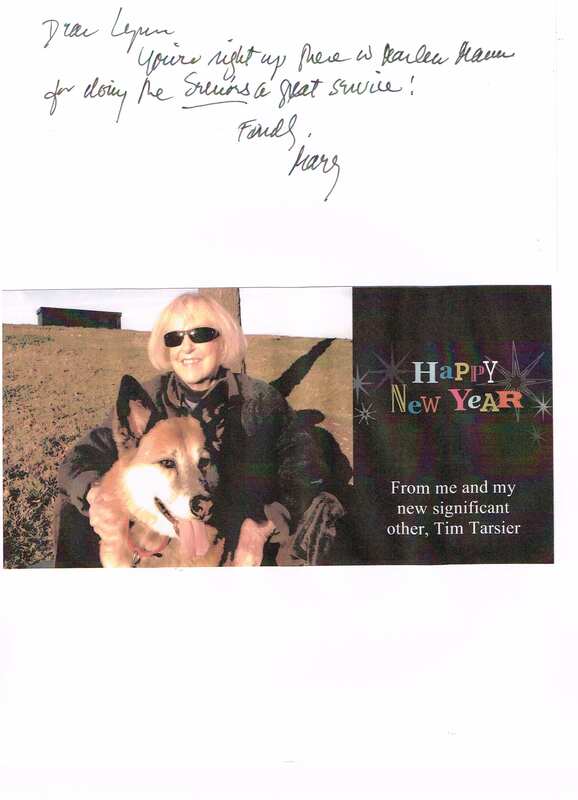 Mary, a lady of many talents, had many accomplishments…she was both an artist and art enthusiast extraordinaire, docent at Saint Louis Art Museum and had the garden of all gardens (wrote and published a book about it) selected to be on the Garden Conservancy Tour a few years ago. I learned that, each week, she volunteered her time teaching drawing to young children in the City of St. Louis. Mary wrote me a wonderful letter upon the occasion of the beginning of Maturity and Its Muse. I was so moved by it, I used it as the basis of my curatorial statement for our exhibit at the Sheldon Art Galleries and will share it with you all soon. 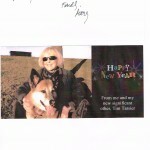 Now, I am proud to share with you the card and message that Mary sent me to welcome in 2013.